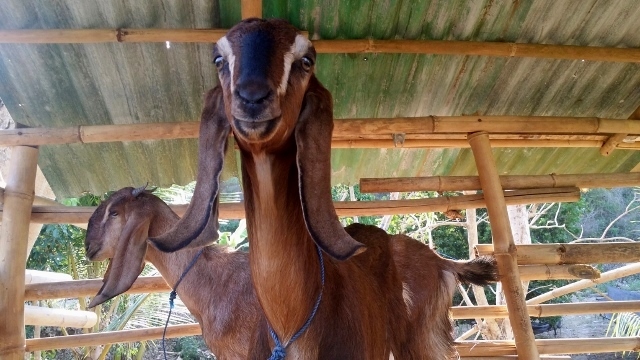 Friends of the National Parks Foundation (FNPF) – manages holistic conservation & community development programs on the Balinese Hindu island of Nusa Penida. Nusa Penida is a small island offshore from Bali, Indonesia – in the Lombok Strait – and is the main island of the group – Nusa Penida, Nusa Lembongan & Nusa Ceningan – in the Lesser Sundas. 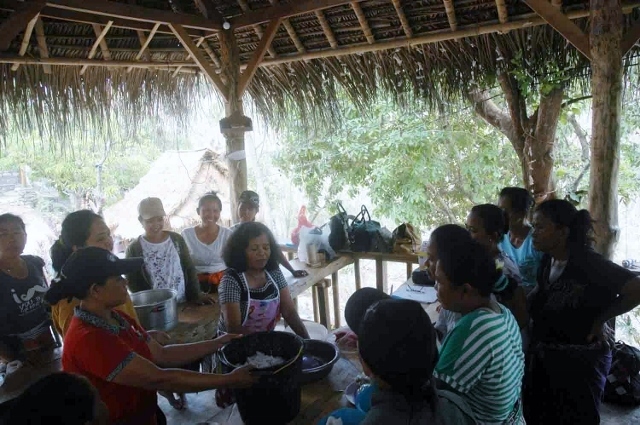 The Balinese Hindu communities in Nusa Penida live simple lives through subsistence agriculture, fishing, seaweed farming and eco-cultural tourism in coastal and remote, inland villages. Nusa Penida island is now a Marine Protected Area and community-protected bird sanctuary. 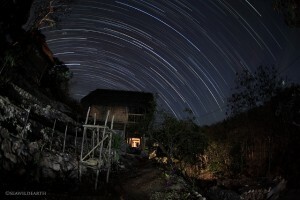 Friends of the National Parks Foundation (FNPF) manages a growing portfolio of holistic conservation & community development programs on Nusa Penida, which is rapidly evolving in recognition of the critical environmental and socio-economic needs of local communities – restoring habitat, protecting wildlife and promoting alternative sustainable livelihoods for local people while providing education. Our key conservation program – established in 2004 – supports the Bali Bird Sanctuary, a community-protected haven and conservation breeding centre for IUCN-listed Critically-endangered Bali starlings and other endemic birds. FNPF is now working with local government to declare the Bali Bird Sanctuary – the entire Nusa Penida islands group – an officially-zoned sanctuary for threatened bird species to be protected under Indonesian judicial law, and to save the Bali starling from extinction in the wild. The Nusa Penida islands group and accompanying maritime zones are now officially a Marine Protected Area. 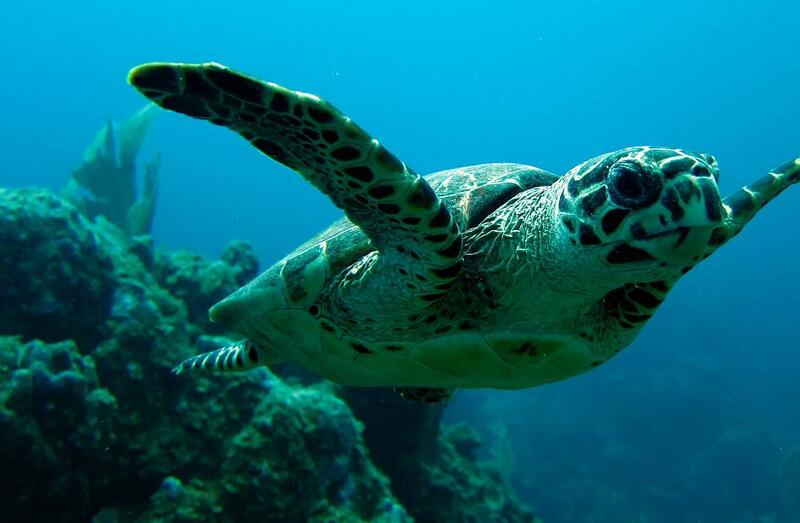 FNPF also manages a Sea Turtle Saver program with a monitoring station and protection patrol on the east coast for endangered marine turtles. 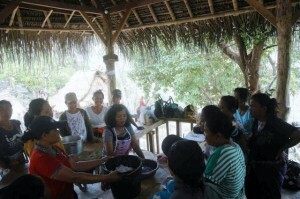 Climate change mitigation is at the forefront of FNPF holistic conservation and community development programs as the impacts of low rainfall, hot temperatures, poor environmental conditions and limited nutrition are key concerns to the future health and wellbeing of Nusa Penida and the island people. Conservation of critically-endangered birds – FNPF coordinates breeding, release & protection of the Critically Endangered Bali starling & other threatened native bird species – including the Java sparrow & the Lesser Sulphur-crested cockatoo. 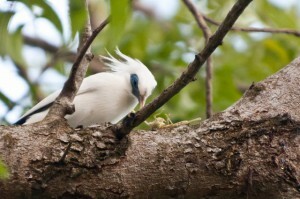 The Bali starling is the second rarest bird in the world and is endemic to Bali. Due to decades of poaching from native habitat on Bali, the wild population was almost extinct by 2005 and now protected on Nusa Penida under traditional law. 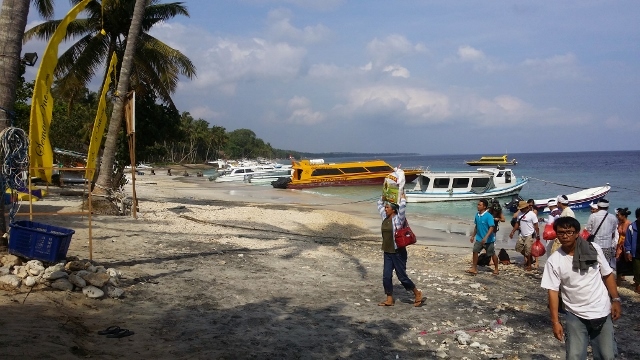 Protection of endangered marine turtles – FNPF manages a Sea Turtle Saver monitoring station with local villagers who have agreed to protect critically-endangered Hawksbill turtles and endangered Green turtles that nest on the remote coastline. Native tree reforestation – FNPF grows tens of thousands of native tree species in our island nurseries to restore habitats, provide food for native birds and improvement of severely degraded coastal lands to encourage new ecosytems and mitigate soil erosion. Coastal habitat protection – FNPF, in collaboration with local villages, monitors coastline and beach habitat at Atuh Beach, which is known to host sea turtle breeding sites. Further habitat protection plans include restoration of coastal mangrove forests that provide food and shelter to marine species of the Nusa Penida Marine Protected Area. Launching in 2015 – New FNPF “Classroom on Wheels”: a mobile community education van sharing knowledge to schools and villages – and future mobile community radio station too (depending on equipment & transmission funding)! FNPF is excited to announce the new Nusa Penida Community Centre – a conservation, sustainability and volunteer’s village at Ped Beach, which is the headquarters of Bali Bird Sanctuary, home to the Critically Endangered Bali starling conservation breeding centre, the Sea Turtle Saver project, FNPF island reforestation programs, organic market gardens, a community facility for local development training and education, & host village to global volunteers; opening in 2015! Volunteer at FNPF Nusa Penida – FNPF offers many opportunities in conservation and community development in our programs on Nusa Penida island for volunteers who wish to stay for a few days or longer-term during study holidays, gap years or retirement vacations. For more information on volunteering at FNPF Nusa Penida and other FNPF volunteer destinations check our Volunteer pages in How You Can Help. 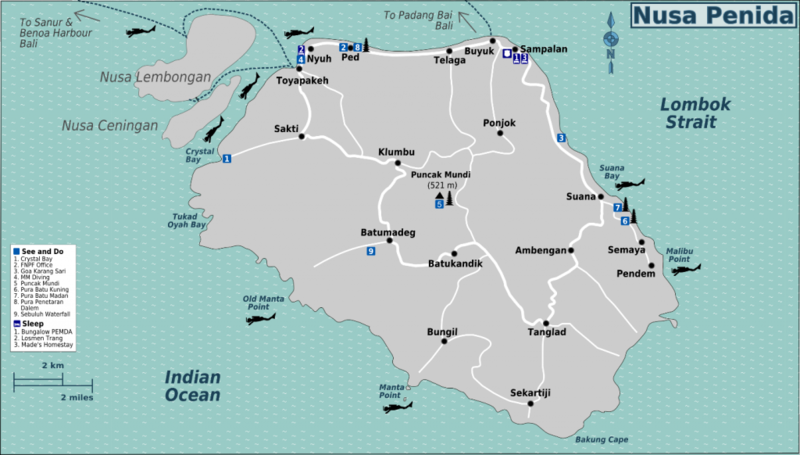 Nusa Penida – the main Balinese Hindu island in this group (Penida, Lembongan & Ceningan) – located 14 km SE of Bali in the centre of Lombok Strait – was declared a Marine Protected Area (MPA) in 2014. Now a community-protected native bird sanctuary for the Critically Endangered Bali starling and other endemic bird species, this island group is a tropical marine wonderland famed for snorkelling and diving. Success of the FNPF Bali Bird Sanctuary and breeding program on Nusa Penida now estimates that over 100 birds live freely across this three island’s sanctuary, increasing annually. The rare Bali starling is now an attraction on Nusa Penida group of islands, attracting birdwatchers and eco-cultural tourists from all over the world. The people of Nusa Penida are descendants of political convicts exiled four centuries ago from Bali and are now well known for strong traditional culture and the practice of black magic. 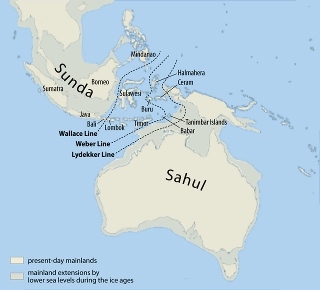 Isolated as political exiles from Bali during the Klungkung dynasty, the local people of Nusa Penida (also known as ‘Black Magic’ island) evolved a unique cultural identity. A woven tapestry of Balinese Hindu traditions, temples, handicrafts, mythologies and magic, local life is stitched into natural landscapes of dramatic coastlines, ecosystems and new wildlife sanctuaries – on this 20 km long x 16.5km wide island bordered by Lombok Strait & Indian Ocean. Nusa Penida’s dry, arid climate – caused by geographic conditions of the Lombok Strait and a landscape previously cleared of forest cover – brings daily development challenges for the locals with fresh food and water shortages and limited arable land for crops. The main income source on the island at present derives from seaweed farms, fishing, subsistence agriculture and an emerging ecotourism profile. Fishing boats and seaweed farms line the coast – competing with fishermen and tourist boats for beach access to the main villages of Ped and Sampalan. Subsistence farmers toil in hot, dry, hilly interiors. The population of Nusa Penida is 46700 living in 46 coastal and inland cultural villages. Popular, but still isolated, day visit destinations that pass through interesting landscapes and villages of living culture include Atuh Beach. 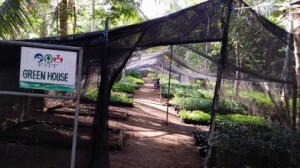 FNPF monitors sea turtles at this sanctuary site near Tanglad, on the east coast. 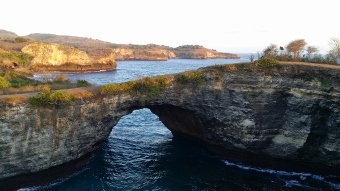 Nusa Penida is an island tapestry of stunning coastal vistas. Book with FNPF for a dive or snorkel trip – organise an ecotour or plan a self-guided trip by motorcycle or van rental. 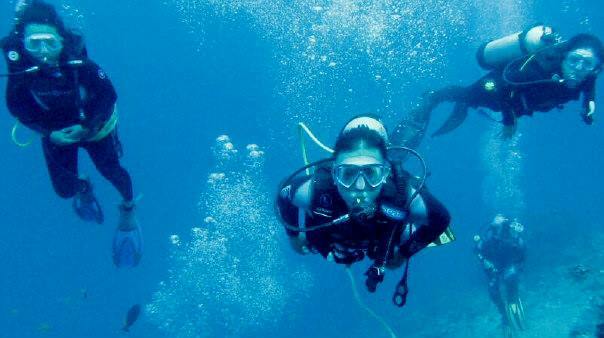 Nusa Penida is rich in corals and home to colonies of protected Manta rays and Sunfish. Not easy to reach, but an adventure in the journey! Popular for bird watching enthusiasts, island wildlife includes an abundance of bird species including the Critically-endangered Bali starling, eagles, cockatoos and kingfishers. 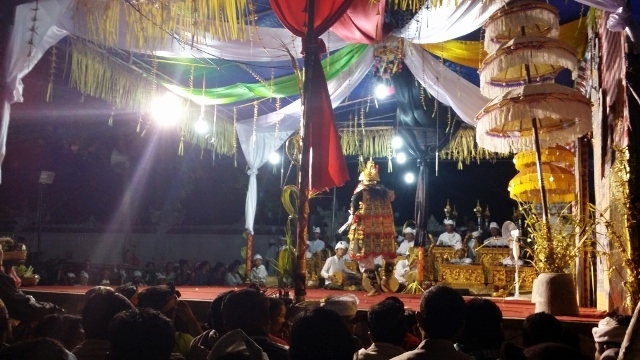 Nusa Penida’s rich tapestry of living Balinese Hindu tradition and culture is celebrated throughout the year at many island festivals and temple ceremonies. 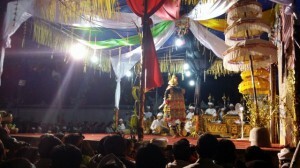 Check with FNPF about coming festival and ceremonial calendars. Book with FNPF – tour remote village textile centres – for a cultural perspective on the art of traditional cloth making and purchase unique souvenirs from the artists.